The Magic of 15 Minutes - Fifteen minutes everyday yields results! Do you want to get things accomplished in your home and personal life, yet feel like you never have the time? I can relate to that! We each have 24 hours every day. We need to wisely decide how we will spend our time, for we cannot get time back once it is spent. 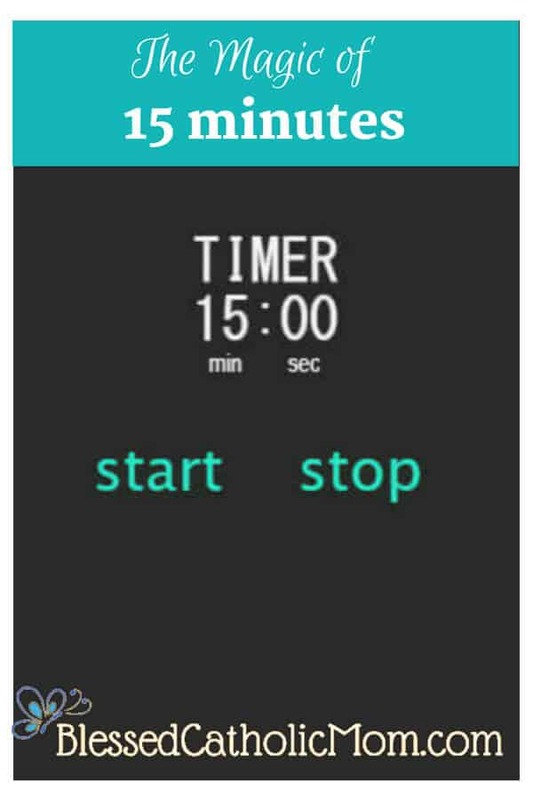 When I am feeling under-productive or have a project I want to get done, I will set my timer for 15 minutes and start working on it. Sometimes I need stop and restart my timer a few times due to interruptions form our kids, but I keep working. Fifteen minutes are long enough to actually get something done. It is not too short that I do not make progress in whatever I am doing. It is not too long that I am wondering more about when my time will be up than actually working on the task at hand. Fifteen minutes is a good block of time to give a focused effort to a task or project and see results. When your fifteen minutes are up, you are done. If you have the time and are inspired to keep working, go ahead. Otherwise, you are done. Know that it will be there for you to come back to for fifteen more minutes tomorrow. The magic comes in when I apply these fifteen minutes every day. Over five days, these fifteen-minute blocks add up to over an hour. In a month this equals five hours. Five hours! That adds up! Fifteen minutes a day, spent consistently, will yield noticeable results over time. 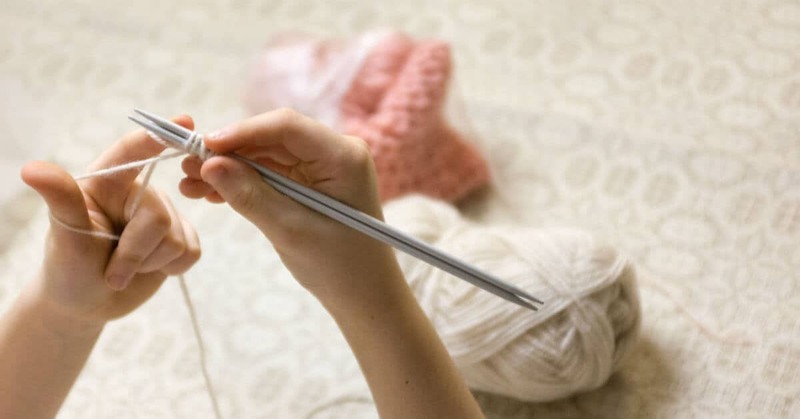 The magic of fifteen minutes a day does not only work on household chores or tasks. It is also effective when applied to fun tasks and spending time with others. Setting aside time to have fun on purpose and communicate with others in a meaningful way brings more joy to our lives. Fifteen minutes a day spent with others and for others is definitely a valuable way to spend our time. Are you asking yourself, “What can I do for fifteen minutes?” This is the right question to begin with. This is not about getting something done in fifteen minutes and being completely done with it. (Although sometimes that does happen.) Rather, it is about working for fifteen minutes with a focused effort on a task or project. Start brainstorming ideas of what you can do for fifteen minutes. If it helps, write down your ideas. Keep adding to it as you think of more things. What you will choose to do daily for fifteen minutes depends on what is important to you and what areas of your home and your life you need to work on and want to see improvement in. Take the time to give it some thought. Unload the dishwasher and load it with dirty dishes or hand-wash the dishes. Go around the house and pick up items that belong somewhere else in the house and put them away. A good motivational tool with our kids is for us to race the timer to see how much we can get done in just fifteen minutes. Work with the kids fold and put away the clean laundry. Quickly sweep or mop the kitchen. 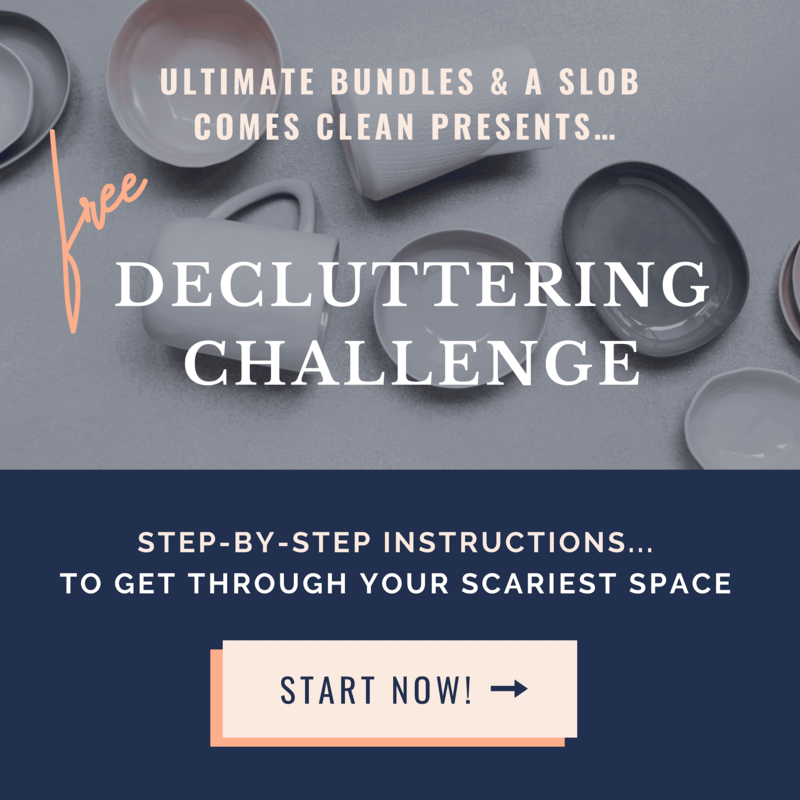 Clean up a room–toss trash, declutter, and put things away that got left out. Sweep the front porch and sweep cobwebs from the door frame of the front door. Rake leaves or pull weeds. 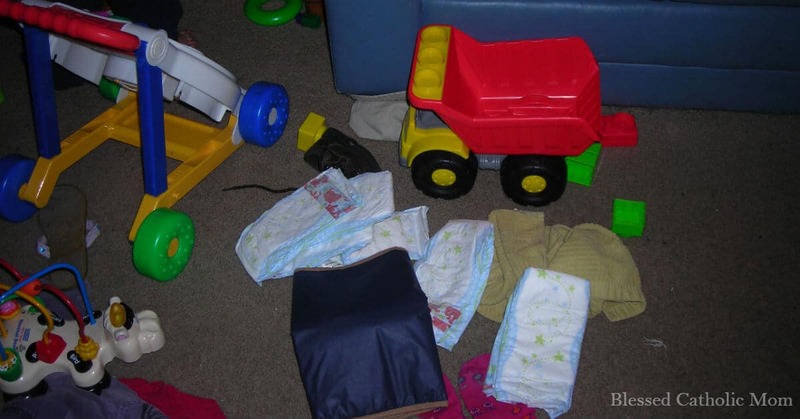 Help kids with decluttering their rooms or paring down clothes and toys they do not need or want anymore. Work on that drawer or closet or room that you have planned for a while to get to. 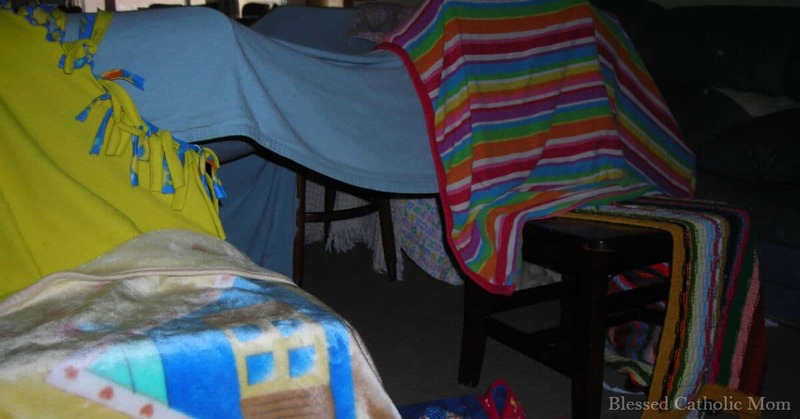 Make a fort with chairs and blankets. Put on music or sing and dance around the house. Play with dolls or blocks or whatever their hearts desire. Read the Bible or a religious book. Call someone–a parent, a sibling, or a friend. Write down personal thoughts, dreams, and goals. Read about organization or self-improvement. Write a note and mail it. Write a letter to each of our children telling them how wonderful they are and how much I love them. Write a letter to my husband about how much I love him and how special he is to me. Plan and schedule a date night with my husband. Fifteen minutes a day is a good start. I can get a lot done in fifteen minutes, even if I have to stop and restart my timer a few times during those fifteen minutes. The idea is to just get working and then to keep working a bit every day. As a result, our home is neater and cleaner. Our kids are happier. I am happier. What more can we ask for? What will you work on for fifteen minutes today? I first learned about fifteen minutes a day from Flylady. If you have not heard about her yet, you are in for a treat. Be careful not to feel overwhelmed by all the information on her site. There is a lot! Just use what is helpful to you and don’t worry about the rest.